A quick view of the most influential metrics in Sedona. Back in 2003, USA Today ran an article rating the "Top 10 Most Beautiful Places in America." Naturally, Sedona, AZ came in Number One. Aside from the indescribable gorgeousness of the place - and the pleasant, mild four-season climate - it's the people here who make the place special. If you are considering purchasing Sedona AZ real estate, it is important to note one of the most enjoyable aspects, the diversity of its population. 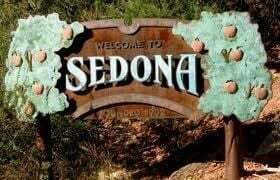 It's a rather cosmopolitan place for a town of 17,000 (in the Greater Sedona area), with people from all over the nation and the world coming to enjoy primary or second homes here. A number of celebrities have purchased Sedona AZ real estate and enjoy a quiet and inconspicuous lifestyle among the red rocks. Artists and art galleries are even more abundant, amazingly, than Sedona real estate agents. For a number of years Sedona real estate has been exceptionally popular with retirees who have made up a large segment of the population. That demographic has been changing rapidly in the past decade as more younger families have been moving in. Sedona has also earned an international reputation as a New Age Mecca with its vortex centers attracting a great deal of attention. The primary economic base is tourism, so a significant segment of the population is made up of hoteliers and restaurateurs and their staffs. One of the benefits of being a resort town is that we combine the intimacy of a small city with the amenities of a much larger place: a host of excellent restaurants, five star hotels, an international film festival that grows in stature every year, a Lincoln Center quality Chamber Music series, a jazz festival, several art festivals, various ethnic cultural celebrations, and some just first rate places to catch live music with local artists. If that's not enough, we're a mere hour-and-a-half drive from major league sports, Broadway shows, the Arizona Opera, and more fabulous restaurants in Phoenix. View our selection of available properties in the Sedona area. 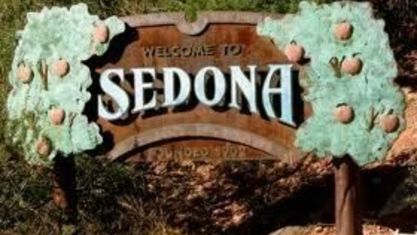 Check out the latest demographic information available for Sedona. Get to know Sedona better with our featured images and videos. Browse through the top rated businesses in the most popular categories Sedona has to offer.